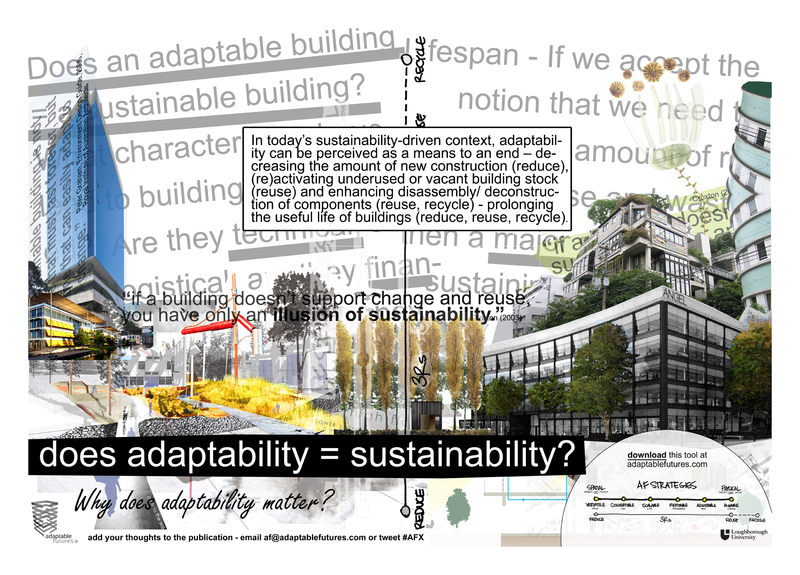 The AF exhibition was launched from October 1st at The Building Centre’s Vincent Gallery and was produced by a-small-lab (Chris Berthelsen) for AF. The exhibition is a series of collages on the topic of adaptability, each collage provides a different perspective on the topic and is framed around a frequently asked question. The collages provide a glimpse into the array of research that has been conducted over the past four years and aim to prompt the viewer to engage in further discussion on the topic via twitter or the AF website. The questions are not ones we can easily answer and often situate themselves in the complex web of project contingencies. 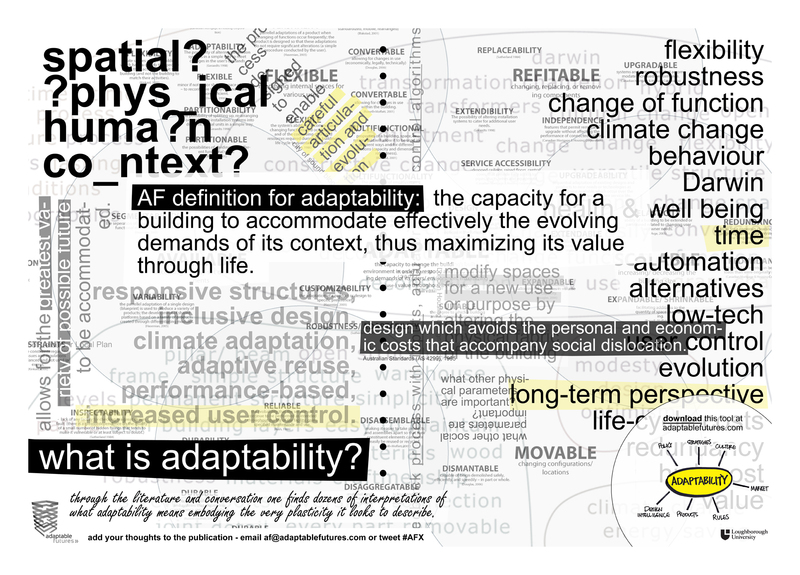 The AF work has focused on developing tools and resources to help clarify needs and provide improved and more nuanced responses to the topic of adaptability. 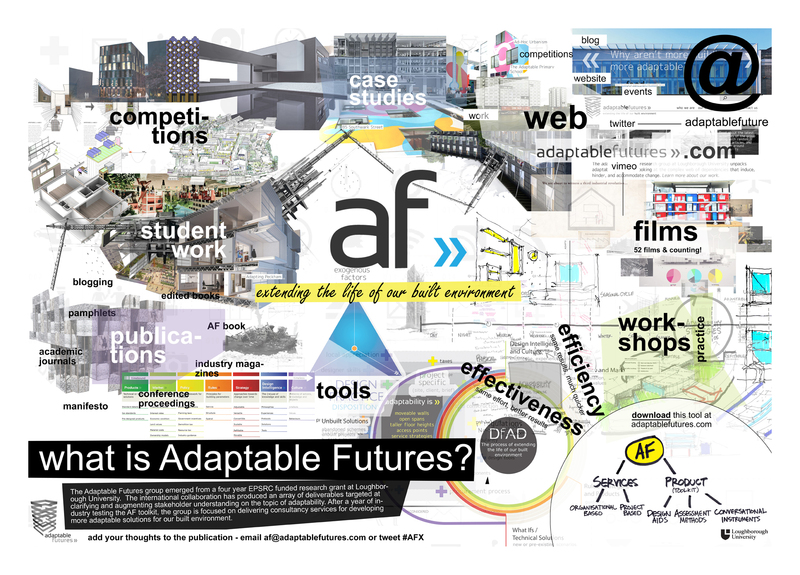 The AF team is in the process of producing a small booklet which will elaborate on each question and will be available online soon. 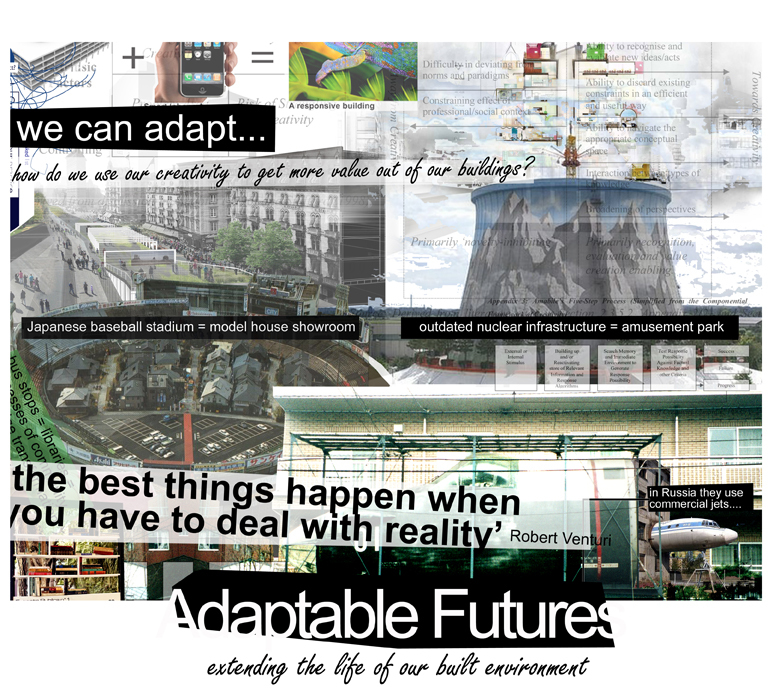 Collage 01: What is Adaptable Futures? Collage 02: What is adaptability? 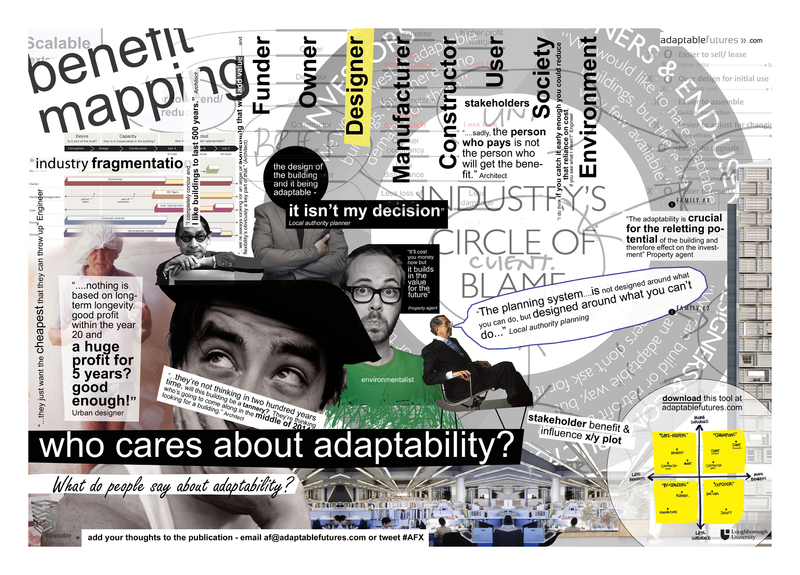 Collage 03: Does adaptability = sustainability? 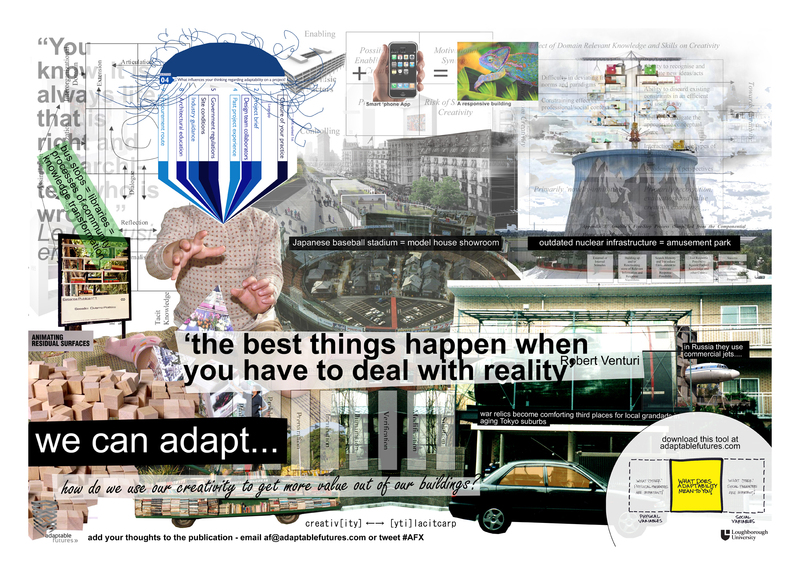 Collage 04: Who cares about adaptability? 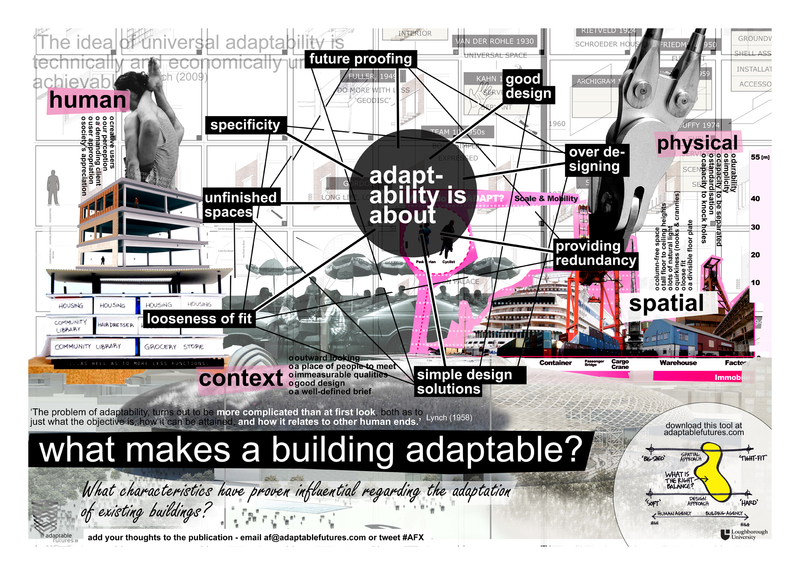 Collage 05: What makes a building adaptable? 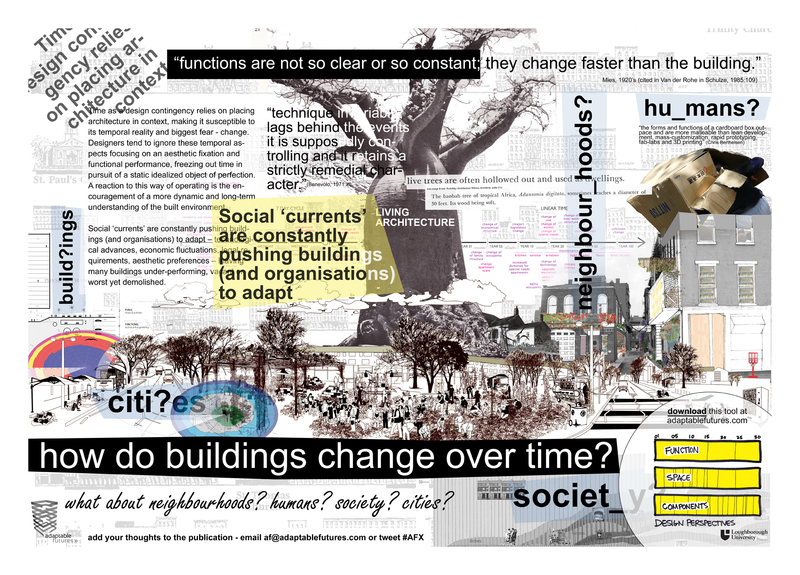 Collage 06: How do buildings change over time? 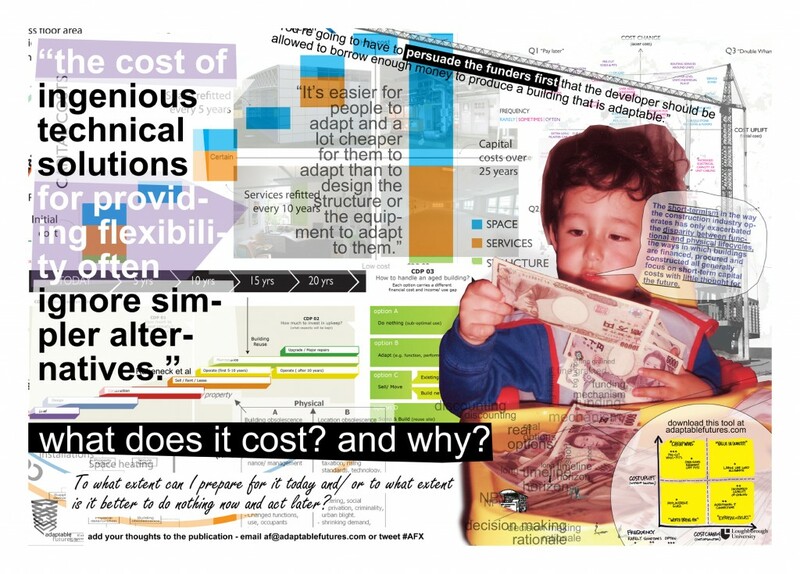 Collage 07: What does it cost? and why? 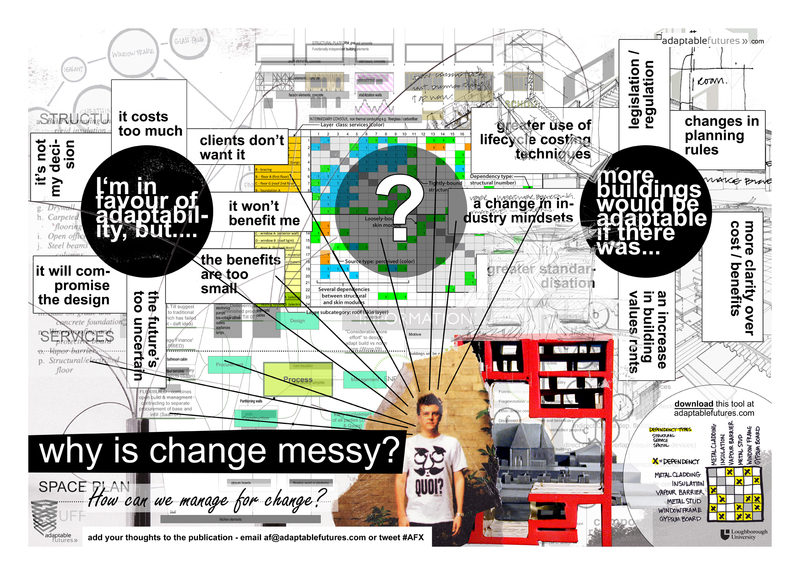 Collage 08: why is change messy? 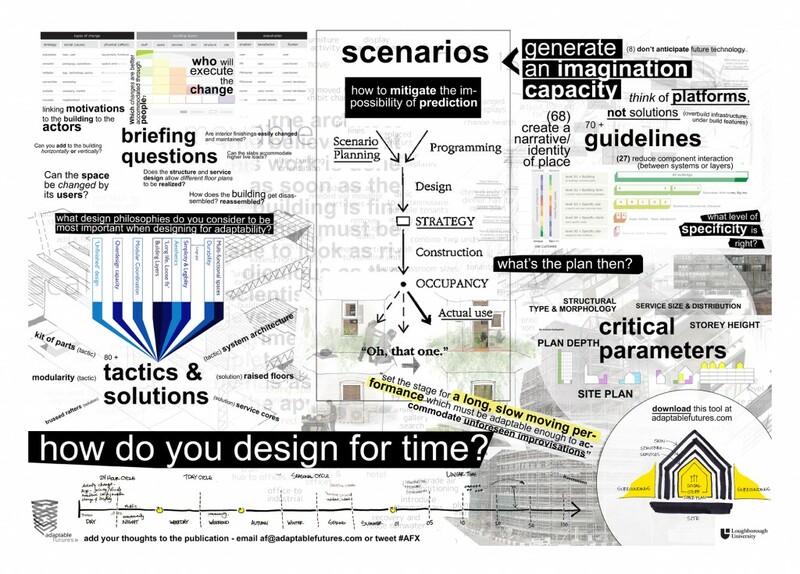 Collage 09: how do you design for time?